Dr. Terrah is your orthodontist at Spring Hill Smiles. Highly educated, she is a graduate of Rensselaer Central High School in Rensselaer, Indiana. She obtained her undergraduate education at Indiana University in Bloomington. She completed dental school at Indiana University School of Dentistry in Indianapolis, Indiana, where she met Dr. Todd. 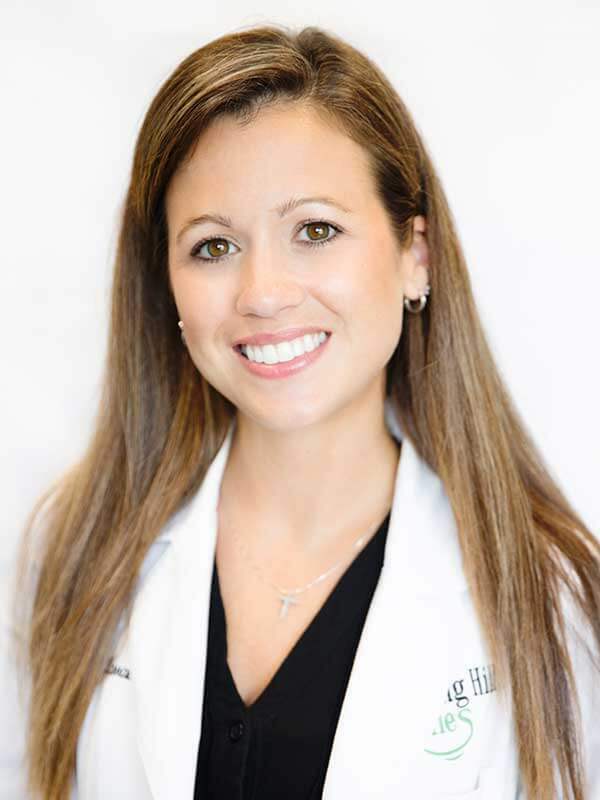 After graduating, Dr. Terrah went on to specialize in orthodontics. She obtained her specialty certification as well as a Master of Science degree in Dentistry at the Indiana University School of Dentistry Orthodontics and Oral Facial Genetics program in Indianapolis, Indiana. While at IUSD, she also completed a research manuscript which was published in The Angle Orthodontist – An International Journal of Orthodontics and Dentofacial Orthopedics. Dr. Terrah feels it is important to stay on the cutting edge of orthodontics. Thus, she maintains memberships in many prestigious professional organizations, including the American Dental Association, American Association of Orthodontics and the Tennessee Dental Association. She also keeps up with the newest advances in orthodontics by routinely attending continuing education courses. Outside of the office, Dr. Terrah spends her free time with her husband, Dr. Todd, and sons, Tyler and Tucker. As a family, they enjoy outdoor activities with their two dogs, Coda and Aggie. Dr. Terrah also enjoys hosting cookouts and backyard campfires with her family and friends.